While those of us in the United States are coping with a long, painful, crazy Presidential election process, our genial, civilized, and thoughtful neighbors to the North are doing some voting of their own. 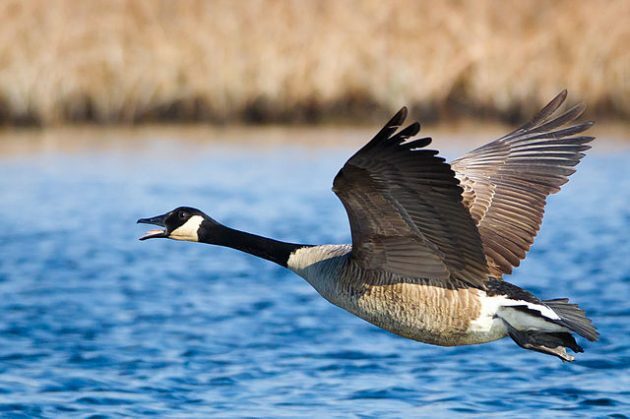 The contest: Canada’s national bird. Voting has already wrapped up, but the Royal Canadian Geographic Society, which is sponsoring the National Bird Project, just held a forum where each bird’s merits were passionately declaimed by prominent Canadian conservation and ornithology experts. Click here to hear all of their arguments (the visuals are not that exciting). The Common Loon comes to mind first and foremost although the Snowy Owl would be one heck of a cool national bird. As much as my heart-strings would pull for the Common Loon,and I do agree with Pat, that the Snowy Owl would be very cool, I would have to vote for the Canada Goose. Thank you, Meredith, for that link! Though the debate is longer than an hour and a half, it is well worth the listen – the panelists are hilarious and make great points for each of the birds. Did you know that stepping in Canada Goose poop is good luck? (The goose supporter was getting a little desperate). Despite that delightful nugget, though, I’d have to toss my support to the Common Loon, with the Snowy Owl a very close second. Is it too late to nominate Labrador Duck? And it’s just got to be the Loon – sorry.